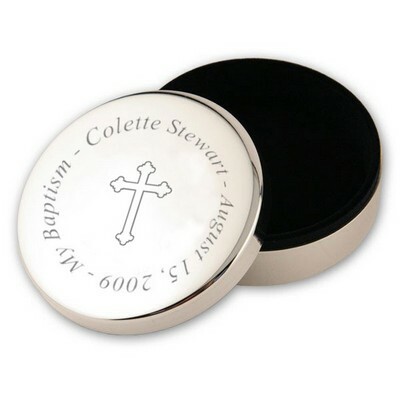 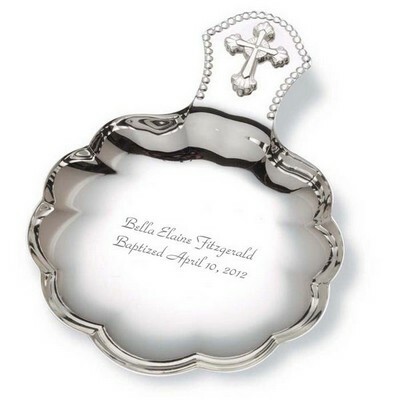 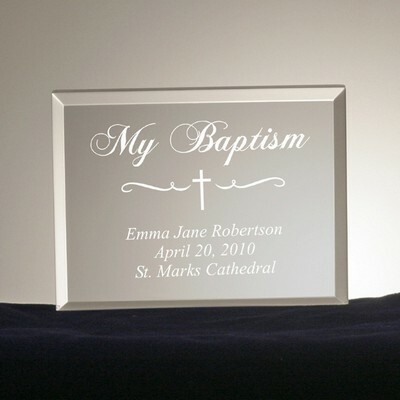 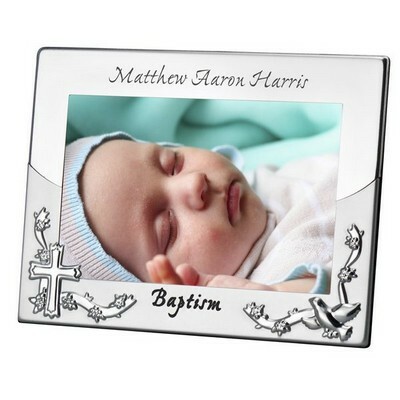 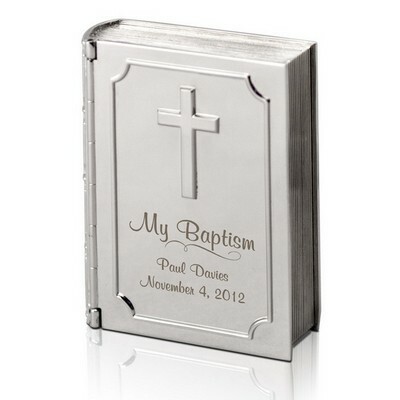 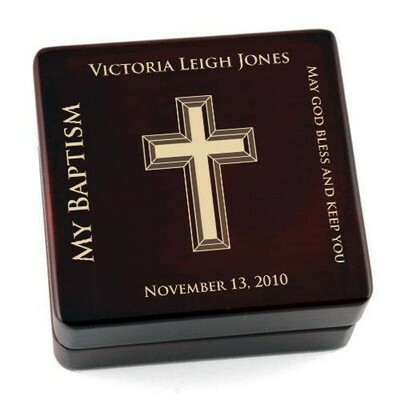 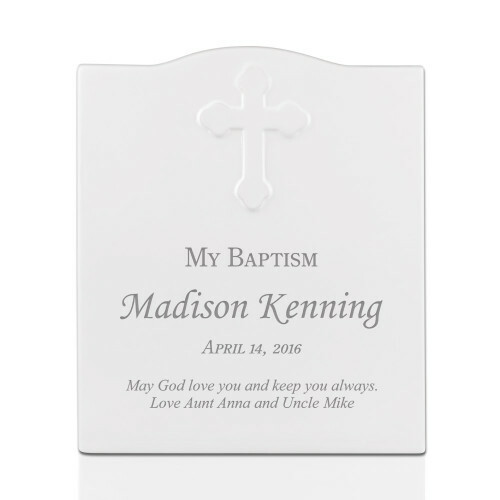 This classic Baptism Keepsake Plaque is a beautiful way to welcome an individual to the church as well as a perfect way to celebrate this religious sacrament. 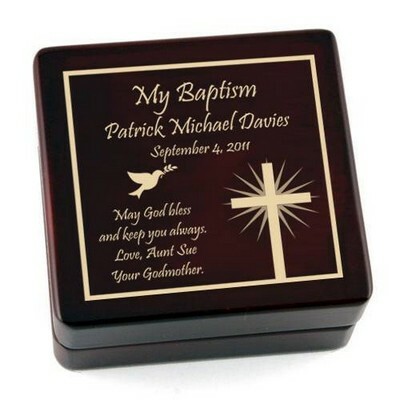 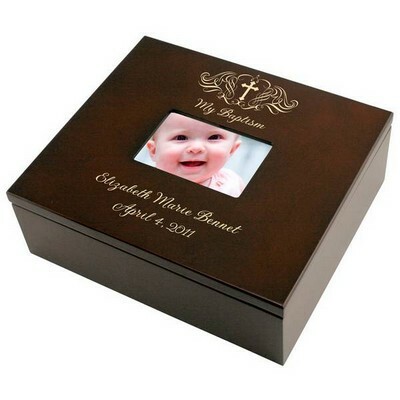 Personalize the name, date and the two line message to convey your congratulations. 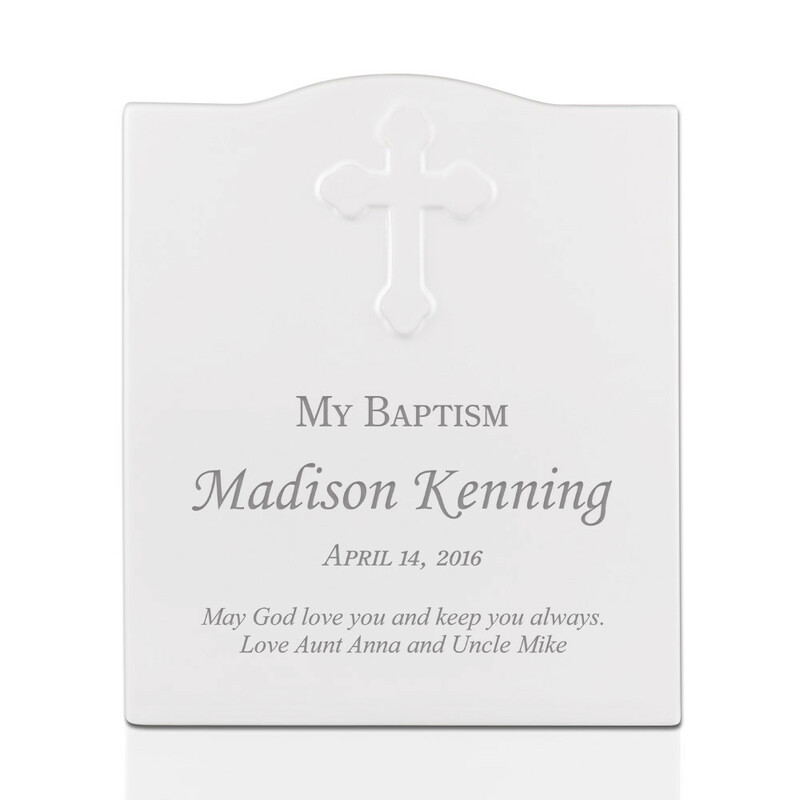 It can be displayed at a party to signify a gift table or sign in table or can be displayed in the home as a reminder of that special day. 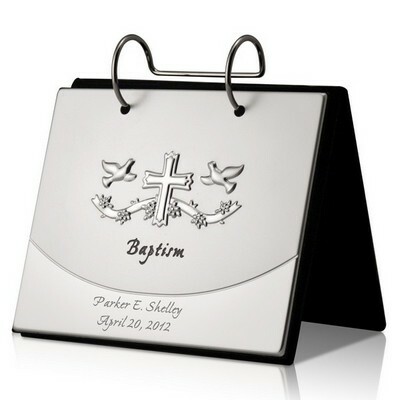 Measuring at 10" by 12", this ceramic silver filled plaque will surely stand out where ever displayed. 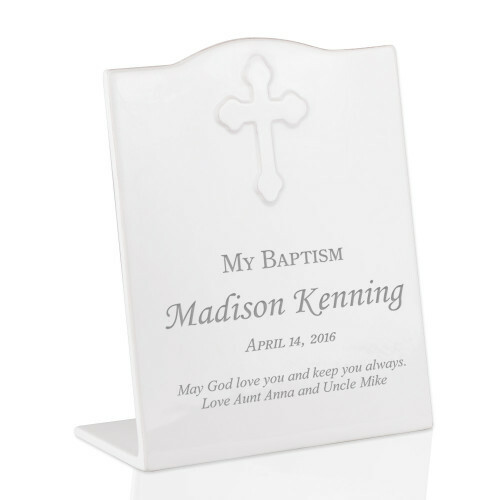 Constructed out of ceramic ensures easy cleanup with soft, damp cloth. 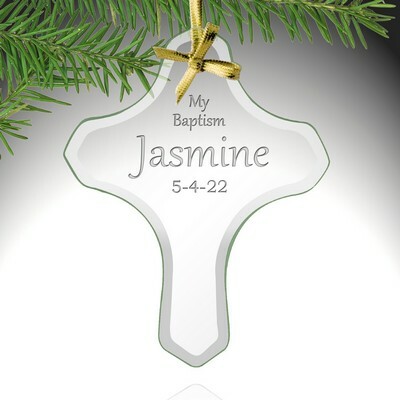 Personalize name, date and 2 line message.